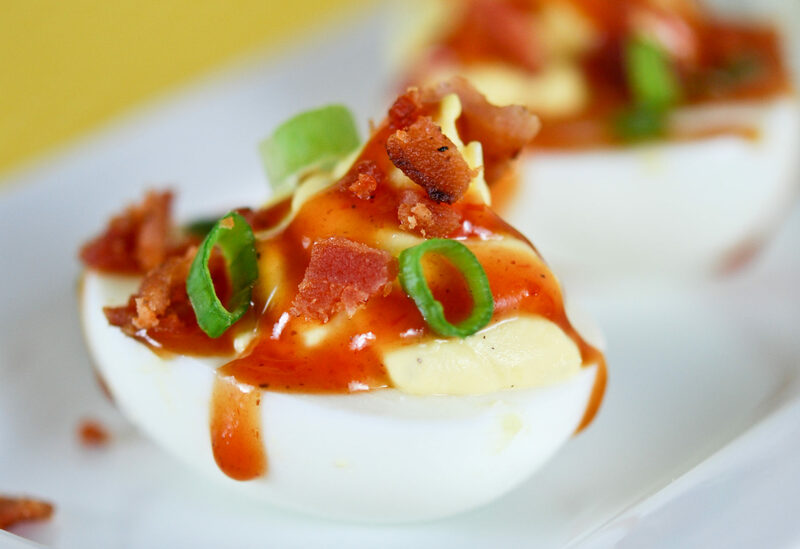 Our Barbecued Ranch Deviled Eggs Are Delicious Creamy Deviled Eggs Flavored With Ranch Dressing And Drizzled With BBQ Sauce And Bacon. The Flavor Trifecta! I LOVE, I mean love Deviled Eggs. They’re the perfect little snack or appetizer. A little protein and a whole lot of great seasoning. I could make an entire meal of these babies…….okay, so, I often actually do just that! Now, imagine adding a few extra favorite ingredients………Ranch dressing……..gotta love that! Barbecue sauce…….I’m in! How about a bit of bacon……..just a bit……Okay! I think I might swoon! 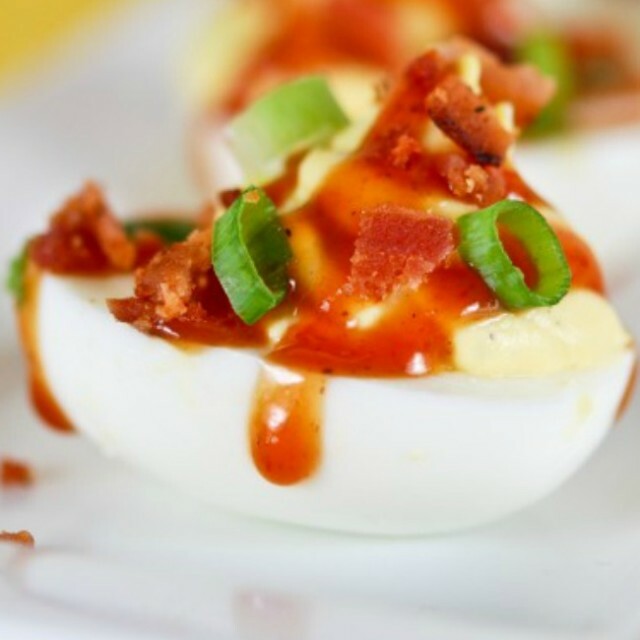 This combination of ingredients wrapped up in a Deviled Eggs is, seriously, crazy delicious! These. Are. Yum-mmmeeee! 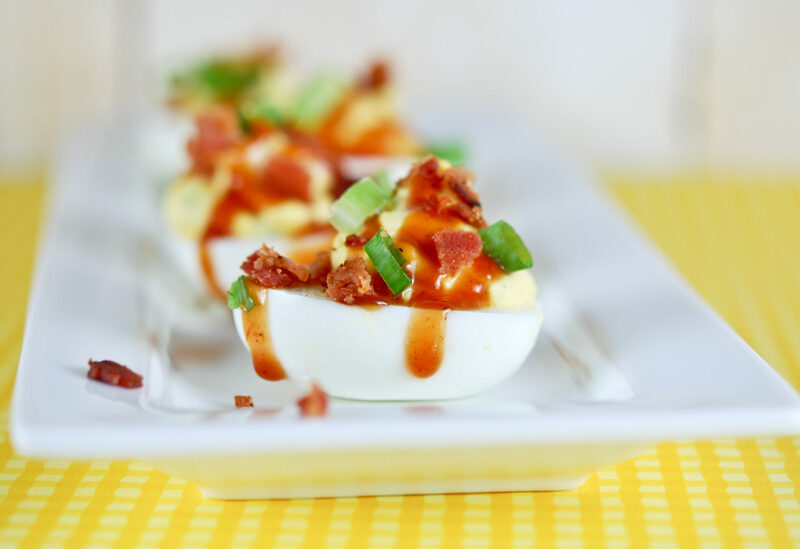 If you like deviled eggs I think you’re really going to think these are amazing. I know I do……..I almost ate half the batch myself right after I made them. 🙂 Seriously!!! Slice eggs in half and place yolks in a small bowl. Add 1/4 cup ranch dressings, 1 Tablespoon chopped green onion-white parts and salt and pepper. Mash until everything is blended and yolks are completely incorporated (the mixture will be a little lumpy because of the onion). Spoon or pipe yolk mixture into egg halves. Drizzle barbecue sauce over eggs then sprinkles with green onion tops and bacon. Ranch Dressing: Start with 1/4 cup of ranch and add extra to achieve desired texture. I added 1/4 cup plus one extra tablespoon. BBQ Sauce and Bacon: I like these with just a light drizzle of barbecue sauce and a gentle sprinkle of bacon. Too heavy a hand here and you will overpower the ranch flavor. Prepared Hard Boiled Eggs: Have you tried the hard boiled eggs from Trader Joes? Well, I have to tell you I absolutely love them. They come in a bag, perfectly cooked, and best yet…………already peeled! Genius! I swear they are total Genius!!! 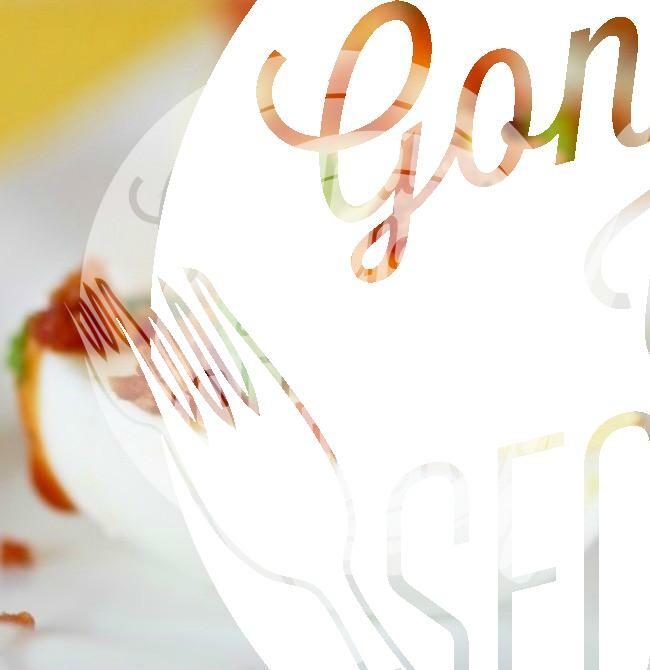 Using them in this recipe makes preparing these embarrassingly quick and easy!